In a previous post, Jeremy emphasized the importance of starting your planning for holiday parties and events of the 2012 Christmas season–both to relieve stress and to make sure that schedule conflicts do not arise. That point was made clear when I met with co-workers tonight to plan an important event to be held, tentatively, the first weekend in December. First, I knew that my family has a long-standing tradition on or around December 8. Conflicts already? Second, I started to consider my energy level and ability to commit to being the organizer of an event (albeit with a large group) in the 2012 holiday season. Will I have time? Am I really worrying about having enough time in December as early as July? I wondered if The Yule Log was making me hyper sensitive to the holiday season. Am I crazy? (Rhetorical question.) Readers may remember that last week I reported that Hallmark revealed its holiday ornaments and Michaels craft store rolled out its program, “Make Your Joy.” Marketing has begun, and I am its victim already. In the Manchester Evening News yesterday, the newspaper reported that bars and restaurants have rolled out their Christmas menus. According to the article, the local Hard Rock Cafe had already made 100 bookings for the holiday season. Other restaurants also had plenty of inquiries and deposits. Conversely, the website yourfirstvisit.net lists the best weeks in 2012 to visit Disney World, and the top three are the first week of December, the last week of November (after Thanksgiving) and the second week of December because the crowds are the smallest but the decorations and attractions are terrific. My conclusion, then, is that the only place in my world where people are not going to be in super crazy holiday mode is between Thanksgiving and December 25 is Walt Disney World. Tickets are on sale now. I thought “Christmas in July” meant that people can take advantage of great holiday bargains in the middle of summer. Instead, I’m stressing out about the calendar. In Disney World , the characters are trained to be Cinderella, Beauty or Goofy. They must attend school to become the living versions of the Disney characters we all know and love. How about Santa? He needs training, too! 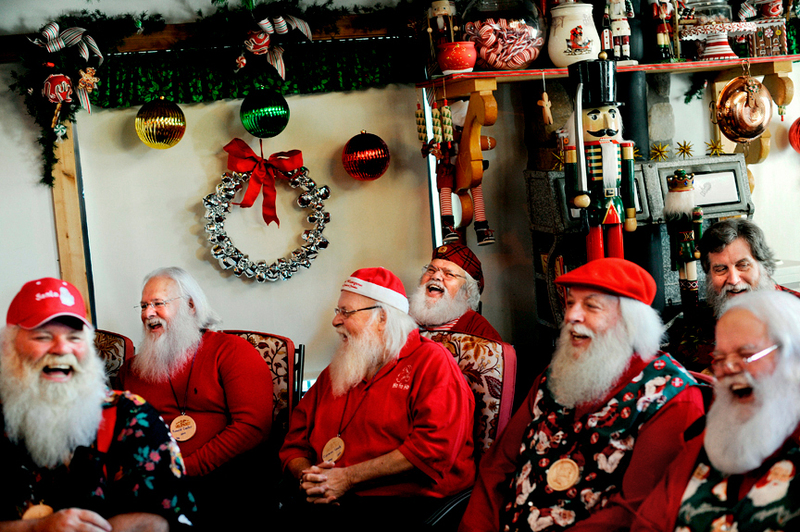 The oldest Santa school is in, appropriately, cold Midland, Michigan. The Charles W. Howard Santa School was established in 1937. Howard was a Macy’s Santa and served as a consultant on the 1947 hit Miracle on 34th Street. Thomas Valent, current dean of the school, first studied under Charles Howard. The 3-day course teaches beard and hair care, the importance of changing gloves frequently, St. Nicholas history, and how to work with children with special needs. This is just a smidgen of the instruction that centers around the privilege of being a Santa. The three-day class, this year on October 18, 19, and 20 costs $415 for new students. Registration is now open. 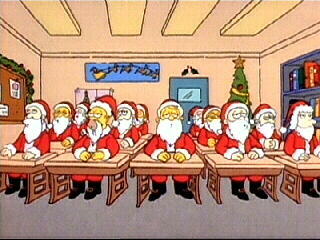 In a parody of the mall Santa and Santa school, Homer Simpson becomes a mall Santa and must attend Santa school in “Simpsons Roasting on an Open Fire” or the The Simpsons Christmas Special was the first full-length episode of The Simpsons. It originally aired on December 17, 1989. I’m putting viewing this episode on my Christmas-must-do list. I suspect all I need to do is check with my sons, or Jeremy, who can most probably quote segments already! Yule Log- Spring Break Update- 265 Days to Go! Wanted to let everyone know that we haven’t dropped out of sight, just a little Spring break. I lost track of the days and forgot that Sunday needed a post from me consider that our April Fools’ Day prank- no new post! SURPRISE! For our weekly podcast our plan was to use some new technology that would allow Natalie and I to do our recording from remote sites. Timing and some technical challenges didn’t cooperate to let that happen. Today also marked our 100th day of the Yule Log and we hoped to share some great thoughts and Christmas ideas with you all. You will just have to wait until next week to hear more about the joys of our Christmas preparation and thinking during Easter time. As mentioned on Saturday, I am visiting the Walt Disney World Resort this week. Today I had the chance to stop in one of the many Christmas shops located on the property- this one in Frontierland at the Magic Kingdom. You name it and there is a Disney version of it for Christmas. There are tree skirts, chocolates, dolls, train sets, collectibles, advent calendars, and even ornaments. 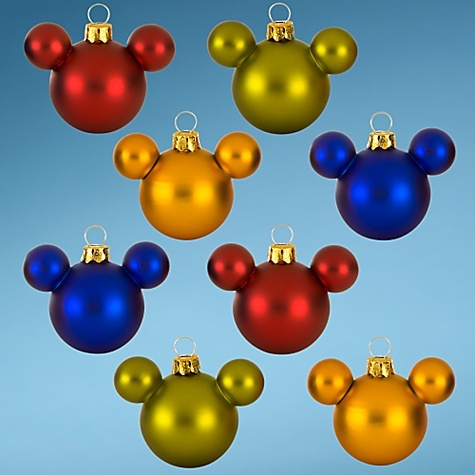 Something for every style- simple, fancy, traditional, modern and even a Victorian collection to go with Mickey’s Christmas Carol. Santa hat with mouse ears? Yup. Random Disney characters dressed as elves? That too. Are you looking for a hand stitched and detailed tree skirt? It’s there. Tomorrow I will have a chance to compare the offerings for Christmas by Disney that can be found in the World Showcase at Epcot Center. Thanks for sticking with us through our little break! Disney does Christmas films too. This marks my first post from outside Maryland since we began the Yule Log. I figure since I am visiting Walt Disney World this week I should be looking at the connections between the mouse and the holiday. Easiest place to start is in that famous Disney vault to see what films and animated treasures are hiding waiting to be found. There are many but not as many as I thought I would find. There are those that just take a popular character or story and twist it to Christmas like Beauty and the Beast: The Enchanted Christmas. There are the ones I bet you didn’t connect with Disney including The Santa Clause and The Muppet Christmas Carol (yes, the Muppets are Disney’s too). I found two that I think you should add to your own Disney collection. The first is a rare find, not yet released on DVD. A Walt Disney Christmas is a 1982 VHS released collection of six short films from Disney Studios. The oldest from 1932 shows elves busy trying to finish the toys before Christmas. 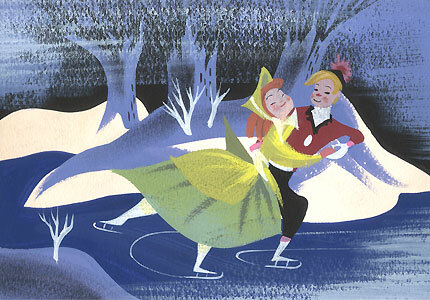 A gem from 1954 follows a young couple out ice skating joined by a pair of rabbits. There’s a selection from the Silly Symphonies collection, Pluto being teased by Chip and Dale, and even Minnie & Mickey enjoying some winter sports. The last of the collection is a snowball battle between Donald and his nephews Huey, Dewey, and Louie. I hope Disney will decide to release this great collection on DVD so I can pick it up and send it to my nieces and nephews. 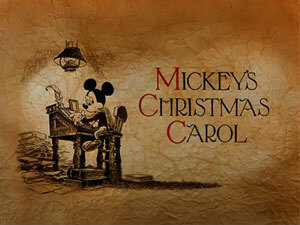 The second find is the 1984 Academy Award nominated animated short film Mickey’s Christmas Carol. This marked Mickey’s first Academy nod since 1948! The film casts Mickey in the lead role of Dicken’s classic tale. Scrooge McDuck is obviously Ebeneezer Scrooge. This film was a big happening for the mouse. His first new film since the 50s. It was an instant holiday favorite and continues to be popular with children of all ages. The tale cast other Disney favorites too, including Minnie Mouse, Goofy, Jiminy Cricket, Donald and Daisy Duck, and Mr. Toad. More recently the film is often packaged with other Disney holiday fare, including Winnie the Pooh. Look carefully and find your copy today.